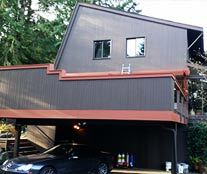 Here at Seattle Painting Service, we provide painting services in Seattle, and beyond! In fact, we serve the entire Puget Sound Area. 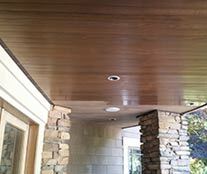 We are known for our quality work, thorough approach, and our efficiency. We will work hand in hand with you to develop an all encompassing understanding of what you wish to achieve, your budget, and any other questions or concerns you may have. Throughout the process, we always remain courteous and professional as we work to create a space that reflects your own individualistic sense of style. We love what we do - a new coat of paint has the ability to completely transform a space, and we love being part of that transformation and making people fall in love with their homes all over again. Whether you're planning a whole new look for your home or if you're interested in freshening up your office, our team can make it happen. When you choose us, you'll enjoy the ease of working with our team! On your first call, let us know what you're looking for and we'll get someone from our team to come and give you an estimate at a time that's convenient for you. At this time, you'll have a chance to discuss what you wish to accomplish, color schemes, finishes, and other details. Quotes are free and there is no obligation! We view each project as a vision - your vision - with the goal in mind of using high quality paint and tools to transform a space into something completely new or restore it to it's former glory with fresh color and crisp lines between wall and trim for a sharp look. 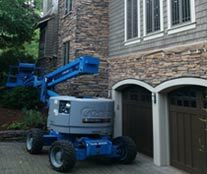 Our crew is as friendly as they are professional and will work diligently to make your vision a reality. 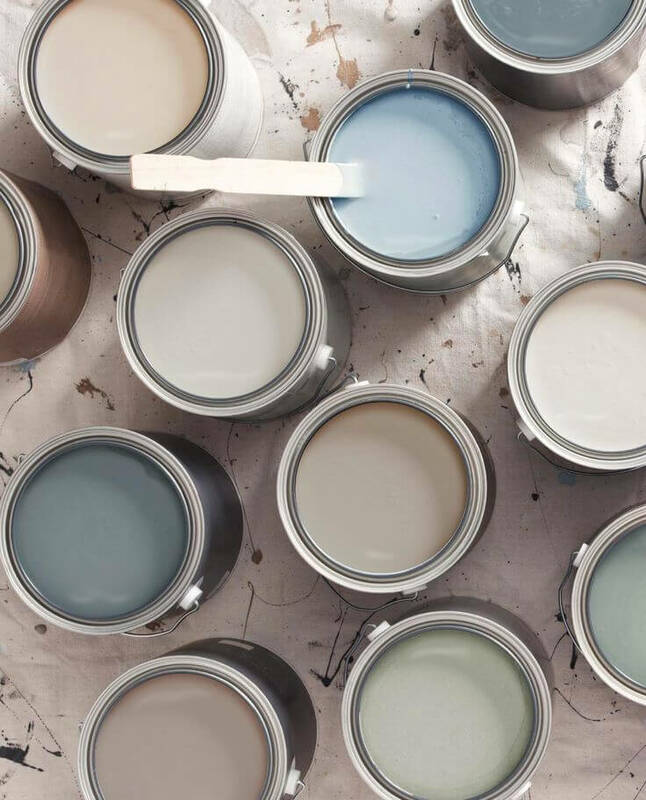 Our prices are affordable, which our clients love, but there's so much more to consider than pricing when you're looking for a reputable, reliable company to paint your home or business. You want a company with expertise and experience in all areas, with the knowledge to properly clean walls or prep wood for a flawless coat of paint; you want a company that has the quality paint and tools to get the job done quickly and efficiently; and you want a company that is is courteous and careful to keep things clean. You will get all of these things with us, and more! 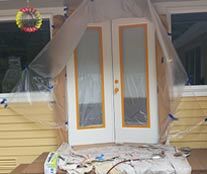 In addition to residential and commercial painting, we provide several other home improvement services in Seattle and surrounding areas, including drywall installation and repair and deck restoration, painting, staining, and cleaning. We love transforming homes and helping our clients' create a new space or update an old one, so rest assured that with all of our services, you can expect all the dedicated service described above. We'll always send out a member from our crew to give you a quote, and we'll always do quality work and we'll do it quickly. With each task, we have the experts to get it done, and we use quality products and tools to do the job so you'll get great results every time. Our specialists can work with you using our state-of-the-art industrial paint mixing equipment. 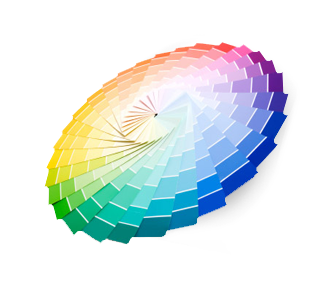 We have the ability to quickly and easily scan any color sample you have procured to work off of, or we can load up our virtual color wheel and you will be able to select any color, shade, or tint. If you're unsure of what shade to go with, our experts can help you pick the perfect hue and assist you in choosing an accent color or trim. If your remodeling project has you stressed, don't worry, we'll help you out and make sure you love the end result! We can assure you that you are opening your home to a trustworthy and reputable company. We believe in the value of the careful preparation, working closely with you or your designer on picking the perfect shade and the style to create the look you envision. 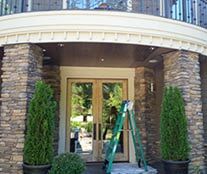 We have the proper paint and supplies for both interior and exterior painting. It's our goal to always meet and exceed industry standards with our product, services, and the quality of our work. Not only are our crew members skilled painters, they're also trained in all aspects of drywall & plaster repair. We make sure that the proper dust protection is set-up to keep areas clean so that you can continue to live at home while we work. And, of course, we always take the proper steps to prep the walls for painting, to ensure a clean, smooth coat. 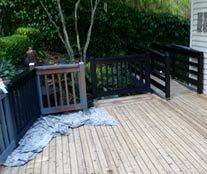 "I am so impressed with your crew, they are very meticulous & careful. I'm so glad I found you!" Copyright © 2017 Seattle Painting Service. All Rights Reserved.